This morning, set out on a guided walk of Avignon, nicknamed “City of Popes” because it was home to seven popes from 1309 to 1377. Stroll through the historic center, stop at the picturesque Pont d’Avignon and walk the Place de l’Horloge. Continue to the renowned Palace of the Popes for a guided tour through this rambling maze of Gothic architecture that served as papal residence, fortress, church and palace. After the tour, enjoy an afternoon at leisure exploring Avignon. You can join the optional tour to Châteauneuf-du-Pape, visiting the vineyards and tasting the famous wine. Lunch and dinner are served on board your ship. We depart for Arles this evening. Disembark after breakfast and take a walking tour of Arles with its diverse architectural highlights. Experience the city’s vibrant colors and striking quality of light that have inspired artists. Arles is also the site of some impressive Roman ruins, including Les Arènes, an arena that seats 20,000 and is still in use, as well as Romanesque monuments such as the Church of Saint-Trôphime, completed in the 15th century. Enjoy free time to explore Arles on your own, then transfer to your ship in Avignon. Alternatively, relax on board this morning and over lunch enjoy scenic cruising along the Rhône. Dinner is served as you depart for Viviers. This morning join a walking tour of Viviers’ Old Town with its medieval and Renaissance buildings. Once a 5th-century Roman settlement, today the cobblestone streets are dominated by the 12th-century St. Vincent Cathedral. This afternoon, we set sail to Tournon. Board the Train de l’Ardèche this morning for a locomotive ride through the deep gorges of the Ardèche plateau, cut by the Doux River. Return to your ship and enjoy lunch on board as we cruise past dramatic landscapes. Arrive in Vienne this afternoon, a beautiful town with an ancient Roman past. Visit the Temple of Augustus and Livia, the Roman amphitheater and the Gothic Cathedral of St. Maurice on a walking tour before dinner on board the ship. We remain docked in Vienne this evening. After breakfast, disembark in Lyon for a tour of this UNESCO World Heritage Site. Begin with a drive to the top of Fourvière Hill for amazing views of the city. Continue with a guided visit to the Basilica of Notre Dame and drive through town past the magnificent St. Jean Cathedral and the Palace of Justice. 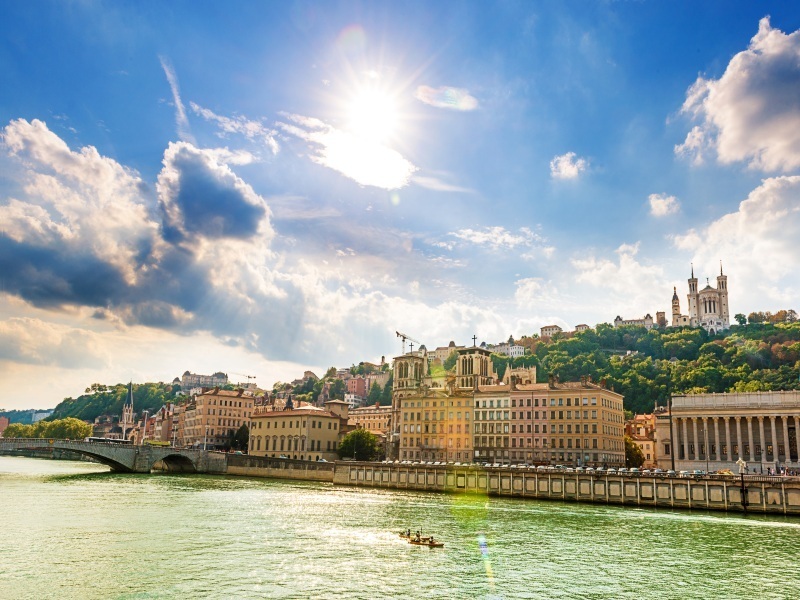 Then take a walking tour through the cobblestone streets of Vieux Lyon (Old Town), with free time to shop for souvenirs or sample some of the fine French cuisine for which Lyon is world-famous. Your ship remains docked overnight. After breakfast, take a scenic drive through the rolling hills of Beaujolais, where viticultural tradition runs deep. See the legendary Moulin-à-Vent, the windmill that gives its name to one of the most prestigious wines of the region, learn about the art of winemaking in a small museum and enjoy a tasting in one of Beaujolais’s famous cellars.